Marcie is an oddity in her village, the daughter of a widower with both village and outsider blood in her veins. She cares for her drunken father, and struggles to fit in with the rest of the village. 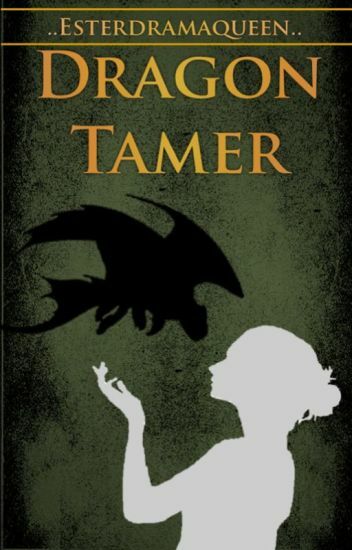 Everything changes when she comes across two dragons, a mother and her new born, and unwittingly becomes the Tamer of the baby dragon when his mother dies. This new unlikely bond completely changes her life and opens doors to her future that she would have never thought possible whilst also causing her pain and heartache. When Tarek's family is taken prisoner by the conniving, self-proclaimed King of Racah, they make a pact to lay low and do whatever is necessary to survive until they can devise an escape plan. Despite Tarek's efforts to follow his parent's orders, he has no choice but to save the Princess from making a life-threatening mistake. And despite his best efforts, he can't help when he loses his heart to the enchanting and lonely Princess. Unfortunately, Tarek is in danger of losing much more than just his heart. Under the rule of a Dragon Riders and Magicians, young 14 year old Thea finds herself pulled into the Dragon Riders world. After her brother dies she finds a dragon and looks after it, but it was the Dragon Riders who killed him. When she finds herself becoming a Dragon Rider, she fights them off however she is captured. Thea soon finds herself surrounding by new people and dragons. As Thea learns more she makes new friends and tries to figure out ways to defeat the Dragons Riders, and joined by her friends she rebels against their rule. But when no one has their own dragon? Yeah things get a little tricky then. Snow Storm is Thea's own dragon, however they were separated and Storm has to first escape the clutches of the Magicians and Dragon Riders. Easier said then done, especially when he wants to help the other dragons. Storm and Thea are on a journey to find each other but both of them are putting their friends before them. While learning more about dragons Thea finally understands what is really happening. But Storm seems to be gaining powers, that are out of control, the more he tries to help, will they ever find each other again? Anada's story continues in this epic sequel. After the explosion from the bomb, Anada, a dragon shapeshifter, wakes on the shores of the muddy riverbank. Her only option is to find her friends. Except... they don't know that Anada is still alive. They think Drake killed her when she was kidnapped by him. The fierce weather from the oncoming hurricane continues to threaten. Now the only thing she can do is to go to the ocean, and wait-out the storm. Many questions go through her mind. Where are my friends? Could they be in danger? Anada will have to face new challenges in order for her to find her friends. Her friends which are also her family. The only family she had ever had. Anada thought her destiny was to save the people from the bomb, but she has more in store for her than she could ever imagine. She'll learn more about her enemies, and her past. In a world where magic and dragons are admired, but very much real, girls and boys from all around the Human Kingdom wish to become Dragon Riders. When they turn thirteen, they are visited by a group of riders who determine whether they have magical abilities called 'Elements'. People who posses them are dragon riders. Humans and Ogres have been at war for a long time, but for a reason nobody remembers. Separated and preoccupied with their war, they ignore a threat greater than themselves rising from the Outlands. Descendant of the war of light against darkness, a creature of darkness plans to conquer all the lands with cruelty and death. Medea, a regular girl that enjoys tricking people, is oblivious to her  powers. Even when she finds out a terrible secret kept from her, it doesn't stop her will to destroy the evil. At all costs, with or without her friends, she plans to win this war. But it is dangerous- in the Outlands, it's kill or be killed. This is the story of Tia; a girl who is thrown from her bed into a dangerous world she didn't even know existed. It seems everyone is looking for the Dragon Heart Pendant that she has carried around her neck her entire life. The Dragon Heart is said to have the power to control the elements and bring the entire world to its knees in reverence. But Tia must figure out if the power is held in the pendant against her skin,or buried deeper within her? This is a story of shifters, dragons, werewolves, friendship,mates...and hopefully in the end,good conquering evil! Aspen finally gets a dragon and soon realize that she is a rider. When an old enemy of the dragons return they realize how much they need to trust each other and the other riders and dragons. In a world where every year, five male children from each city and village between the ages 15-18 are chosen to become dragon riders, what happens when only four males get chosen from one village? And what happens when they test the girls and the fifth child is chosen? Lana is a regular human girl, 100 years after Eragon's defeat over Galbatorix. She dreams of dragons and their Riders and holds the impossible dream of becoming a Rider. However, being a lowly servant girl, her chances seem bleak.